At Martinez Eye Associates, our optometry team are committed to providing advanced vision care in a professional and comfortable environment. 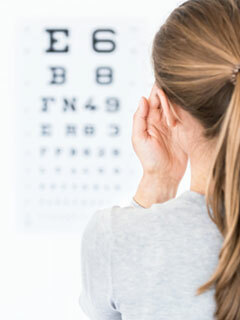 Our primary eye care service includes a complete eye exam that analyzes eye health and vision function. In addition to eye exams and vision testing, our doctors and staff of optometry professionals provide testing for glaucoma, cataracts and macular degeneration. We also offers glasses, contact lenses, and pre- and post-operative care. Every eye exam is tailored to address the patients need. The eye exam would typically consist of a refraction portion and disease diagnosing portion. Determining the visual acuity: A measurement of how well the patient can see. Eye movement testing, color testing, visual field testing and depth perception testing. Using a phoropter to determine the patients prescription. A contact lens examination involves determining the prescription and the fit of the contact lens. There are numerous contact lenses that fit patients differently. A contact lens may be too tight or too loose depending on the shape of the cornea. Contact lens examination is due annually. In order to renew your contact lens prescription, your doctor performs the following tests on a yearly basis. Selection of the best contact lens to fit the patients everyday schedule. Patient education on the insertion and removal of the contact lens. Martinez Eye Associates offers free consultation for LASIK candidates. We work in conjunction with the ophthalmologist to offer pre-operative and post operative care.